A fresh new 2019 version of the Borderlands: Game of the Year Edition will launch next week, bringing 4K support to Gearbox's original title on PS4 Pro and Xbox One X.
Gearbox had some great news for PAX East 2019 attendees who never found the chance to play the original Borderlands release. In addition to the latest The Handsome Collection, Gearbox will be releasing a special remastered version of the first series entry in the Borderlands: Game of the Year Edition for PlayStation 4, Xbox One X, and PC. 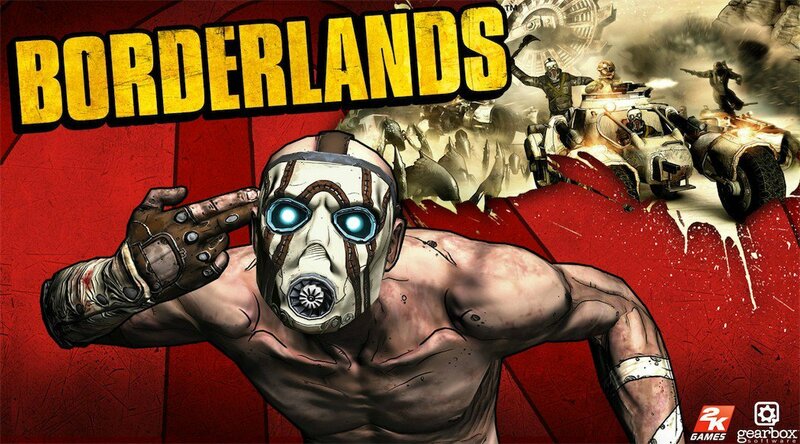 Billed essentially as a 4K remastered, the new Borderlands: Game of the Year Edition — not the 2009 release, but the new 2019 edition — allows video game fans to dive back into one of the most popular shooter looter releases of of the last decade. In addition to a complete visual overhaul and massive increase to overall resolution, the 2019 Borderlands: Game of the Year Edition will also feature all of the game's previously released DLC packs. Beyond that, the team at Gearbox indicates that several other tweaks have been made to weapons, performance, and other general gameplay features like inventory management and mini-map adjustments. It's worth mentioning that players who are keen to pick up the entire Borderlands collection so far can also pick up the Borderlands: The Handsome Edition 2019, which includes 4K remasters of Borderlands 2 and Borderlands: The Pre-Sequel, while simultaneously following Gearbox's confusing decision to reuse past bundle titles. Be on the lookout for the release of the Borderlands: Game of the Year Edition 2019 for PC, PlayStation 4, and XBox One on April 3, 2019. Those who picked up the 2009 GOTY release will also be eligible to upgrade to the latest 2019 version entirey for free, so now might be a good time to pick up the 2009 Borderlands GOTY on Steam. For the rest of your PAX East 2019 news and guide coverage needs, be sure to keep it tuned right here to Shacknews. Grats to the master race, looks like console has to pay for it AGAIN. I have put more money into Gearbox through multiple platform purchases than Skyrim! Guess I'm screwed into paying again since I only have a couple of the dlc, won't be buying this. If you're on PC, only the base game is required to be granted the re-release. Here's hoping they fix the damn FOV. Wasn't there a rumor of this coming to Switch as well?